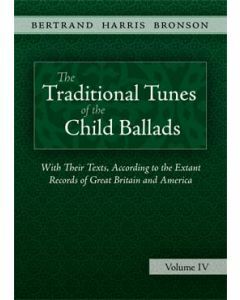 In 1972, Bertrand Bronson published the fourth and final volume of The Traditional Tunes of the Child Ballads, the culmination of decades of work gathering and organizing all of the available tunes for Child's ballad texts. The collection, nearly 2,200 pages of tunes and texts with notation for 4,120 tunes, was hailed as a milestone in ballad scholarship and has never been surpassed. 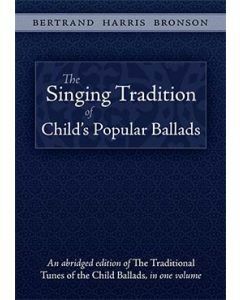 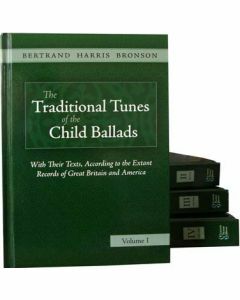 Bronson also prepared a single volume edition, The Singing Tradition of Child's Popular Ballads, which includes only those tunes from the larger collection that were gathered from traditional singers (as opposed to manuscripts).